Our Italian General Courses run all year round with a program divided into 6 levels, from Beginner to Proficient. They are included in Summer Term, Semester and Academic Year Programs or they can also be attended as single courses for students who are not joining any program. Classes are made up of a minimum of 4 and a maximum of 10 students, therefore creating a friendly and supportive environment in which the teacher can review the linguistic progress of each individual student. 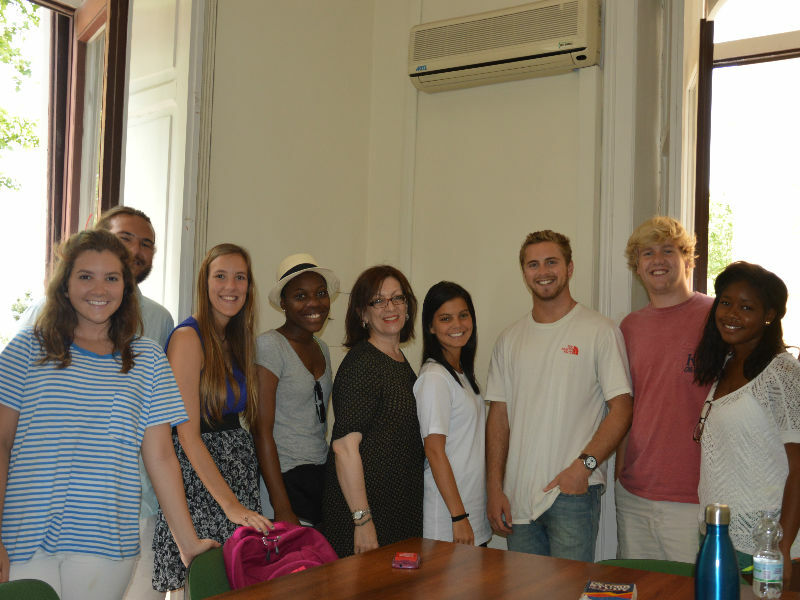 All classes have a good mix of nationalities so that students are encouraged to use only Italian to communicate. Our highly trained teachers review students' progress with a weekly test and homework. Students take a placement test (written and oral) and they will be placed in a group class according to their language level. A progress test will be given every week as well as a final examination, after completing a language level. No credit will be awarded for students who officially drop a class before the end of the program. • A student failed the final exam and that his / her course load was considered unsatisfactory. No credit will be awarded for the course. Courses that are officially dropped before the end of the program or failed exams wiill not appear on the student’s transcript. At the completion of each course students receive a certificate with the grade and the language level achieved.